Leisure and business travellers will be able to travel with ease between Belfast and Malta thanks to the launch of new flights. EasyJet is offering twice-weekly flights from Belfast International to the historical island in the Mediterranean. People can book flights on the new route online and are also reminded to ensure they take out travel insurance to cover any issues with their trip. Malta's High Commissioner to the UK, Joseph Zammit Tabona, was among passengers on the inaugural flight on Tuesday. 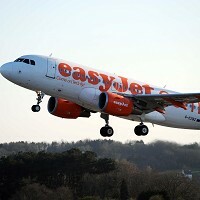 He said: "EasyJet is a key partner, and connections between the United Kingdom and Malta have never been this good. Through the addition of the twice-weekly route from Belfast, the people of Northern Ireland can now easily access Malta and all that is has to offer." Paul Simmon, regional general manager at easyJet, said: "We're delighted to be launching this new route to Malta, which is a popular destination for leisure and business travellers, and strengthens easyJet's existing destinations from Northern Ireland. "Malta has a rich history that is evident in its stunning architecture. For today's visitors, there is also the obvious attraction of clear blue waters and dry, warm summers."